Read about why cubby houses are good for Aussie kids. Your little ones will never have a dull moment with the Wombat Plusplayhouse! Shop the whole range of kids cubby houses. Kids tables and chairs are a must in a Cubby House Australia. Our fun-sized Wombat Plus Playhouse is designed for toddlers. All components are plastic with rounded edges, which are smooth on soft hands with no small bits or sharp edges. Comes with an awesome basketball hoop and slippery slide for heaps of fun. 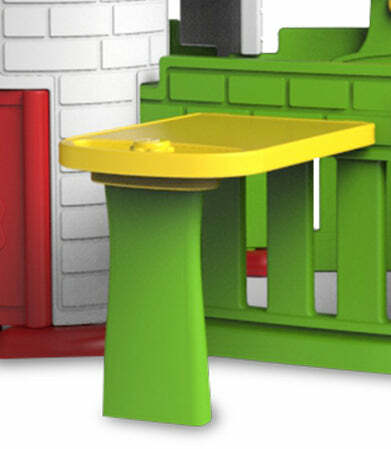 Every wooden cubby house needs a kids kitchen shop our collection here. Get your kids a early start into sports and fitness with a nifty basketball ring. (Ball Included). Your kids will love their own tables to draw & play on. 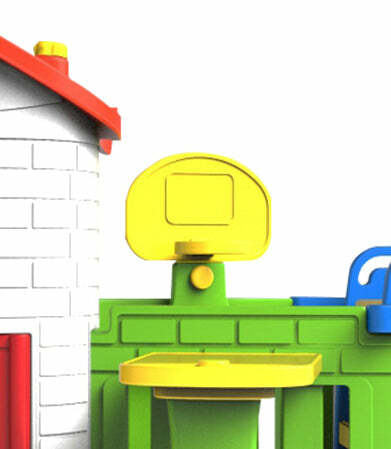 Constructed from Non-Toxic, Recyclable Injection Molded HDPE Plastic, the Wombat Playhouse is super strong and safe for year round play. 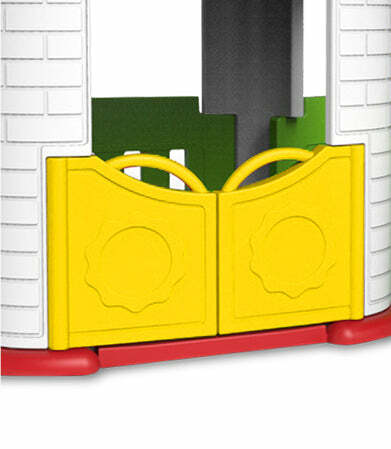 Our Wombat Plus Playhouse is extremely easy to assemble, and will only take 30 minutes! Can be assembled just by hand with the easy hand tightened locking feature. Please allow a safety perimeter around the Swing to prevent any collisions. Equipment must not be installed on cement, asphalt, or any other hard surface.